So yesterday I posted an Instagram story of my Florida packing checklist and as some of you know I'm going to Florida for two weeks in 4 days! Now what a lot of people don't actually know is that I have very bad anxiety which also ties in with OCD, I choose not to talk about it to most people but to the people closest to me know that it is a daily struggle for me. So here's a little bit of info - lets get real for a moment. Growing up I was always a child who was worried, scared and even frightened at most things in life whether it be fireworks, clowns, balloons, you name it I was scared of it and most likely would not want to be in the same room with it. Whatever it was I was afraid of looking at it, being near it, listening to it and nobody around me ever really saw it as a problem and neither did I until I reached my teenage years where I discovered that this trait had stuck with me. So I get to my teenage years and things where pretty much the same but tended to be more real things, like things I have to face on a normal day e.g. going into a shop on my own, being on a train/bus or even just walking down the street. I don't know why these things still bother me to this day but it does. Most people that suffer with anxiety will know you have your good days and your bad days. Bad days being the ones where you probably don't want to go out and see anyone for a few days or a week or even a few weeks. I've had a few periods where my bad times just seem to be really bad and I struggle to do anything, everything seems heightened and more difficult to go through, but luckily these days never happen often and I just have general anxiety and I can pretty much deal with that now or have learned how to cope with it. So going forth with this, I decided to try therapy. Yep, I said it and I've done it and hopefully I'm through most of it now and don't think I will be needing to go back as often as I do because I have a real understanding now of why I get anxiety and how to deal with it. So while going on these sessions we worked out that with my anxiety I get a lovely side order of OCD that ties in with it, now I know you might be thinking how does cleaning fit in with anxiety? a lot of people do assume that OCD is to do with being a bit of a clean freak when it's not really that at all, it can be but there's different kinds and mine just happens to be the fact that everything has to be in a routine and I have to do that specific routine to feel calm about it which kind of helps with my anxiety, so yes it is a little bit odd. Anyways, I thought I would add a new kind of series to my blog not your usual anxiety blog post where you talk about it in general but talking about how I can now help myself and control it so hopefully it can help others that may be in a similar situation. isn't just going to disappear over night. I'm still putting everything to practice for myself but I thought I would share the things I have found so far that have really helped me and the things I'm still doing that help me now! 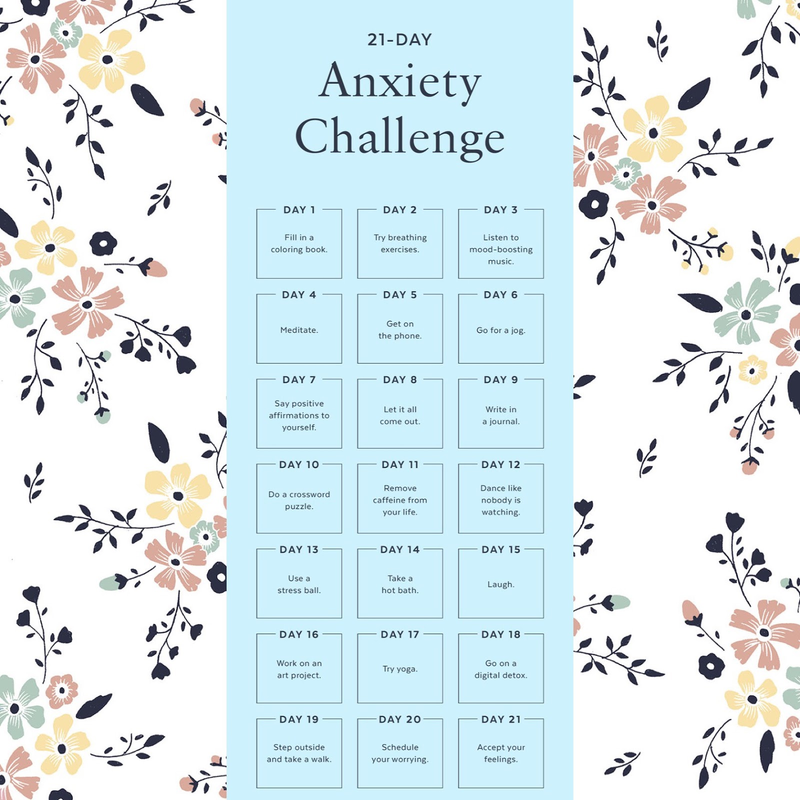 I've found this little 21 day anxiety challenge which I find quite helpful for me as you can challenge yourself with something new everyday and give it a go and see if it helps you! I found this on Pinterest which I absolutely love as it has anything you need on there. So as I was saying above I am travelling to Florida in 4 days so yesterday I created a checklist of all the things I need to pack in my suitcase and hand luggage just so it keeps me right and so that I'm not panicking on the way to the airport thinking oh my god I've forgot to pack my knickers?! just kidding, but this way I know I've got everything and means I'm starting my holiday being calm and organised! 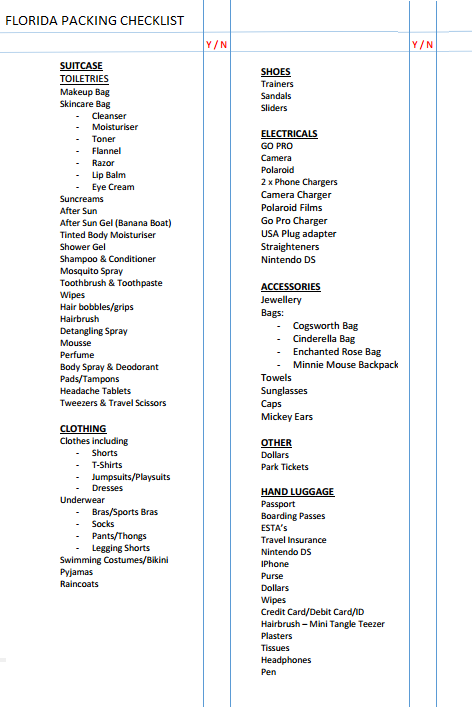 So I've printed this off for myself to start using it to pack all of my things on Thursday/Friday so this will definitely come in handy to me so if it does to you I will link a printable copy for you to use too. Click the picture below to access the downloadable version. I hope this helps a lot of people who deal with anxiety, OCD or even just need help organising your packing for your holidays! 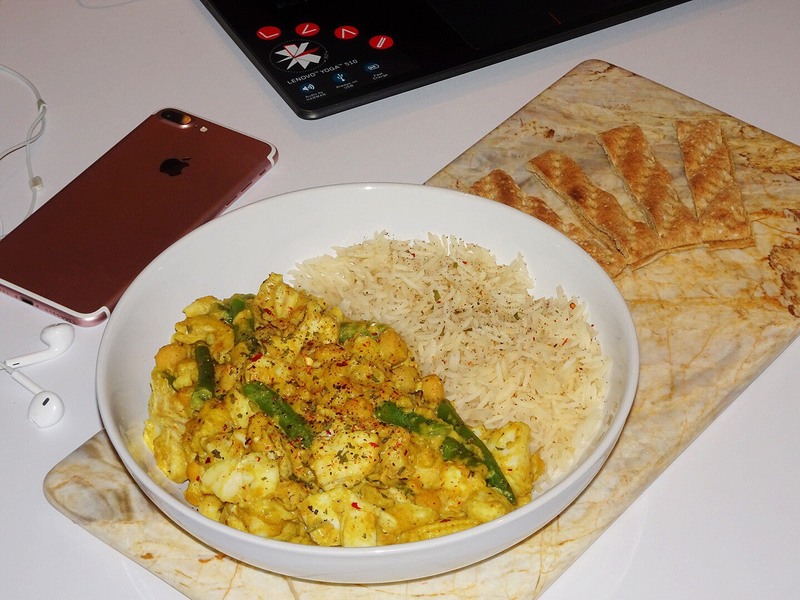 So this post isn't going to be your typical food post where I will post the recipe and tell you how I made this delicious dish, I thought I would use this post about my recent decision of not eating meat. Now, I have always been a huge animal lover anyway and I don't eat a lot of meat anyway so at the moment I am not finding my change over too difficult. 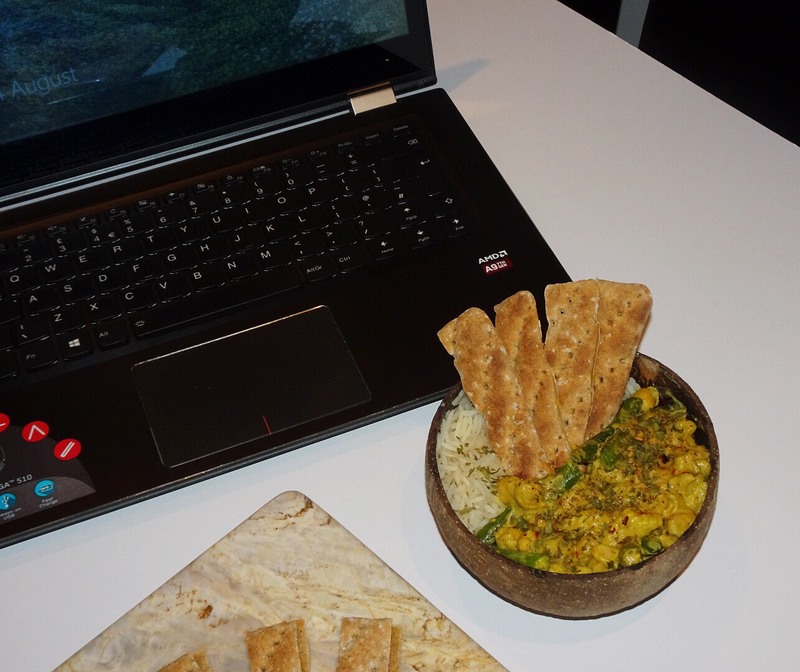 I basically decided to continue to eat fish and dairy at the moment until I get used to it and more comfortable and you never know I may remove those from my diet in the future but at the moment I am happy with keeping them in my diet. I am trying a lot of new things at the minute just to try and become a healthier, happier person and I'm hoping by changing my diet this will help contribute towards this goal. 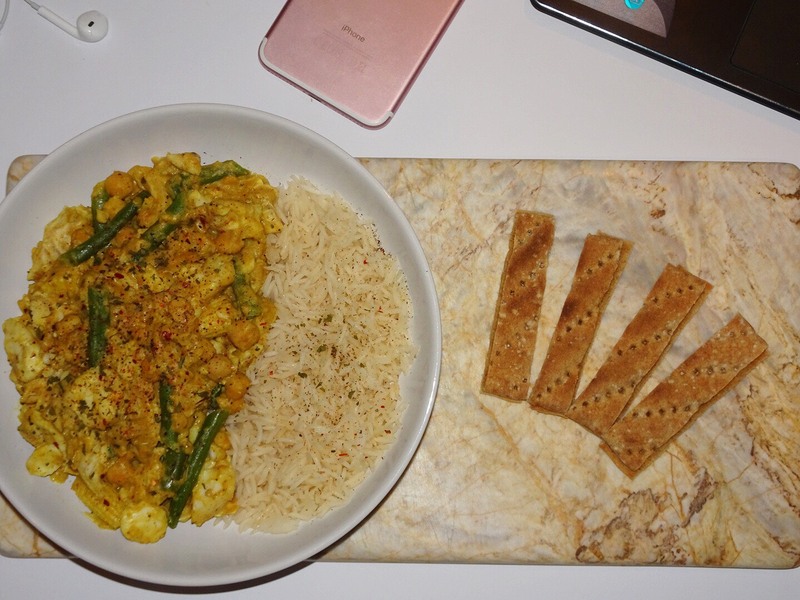 I feel like I am doing so well at the minute with this because I find I'm making more time to actually make some delicious meals because I am finding it more exciting to experiment with seafood and other new things for me. I also feel that by doing this I'm getting back into my fitness and have been exercising regularly so that is obviously a bonus for me! I will try and keep you updated on how I am getting on with my new little diet! I hope you loved reading this post and let me know if you enjoyed reading this with it being a little different! 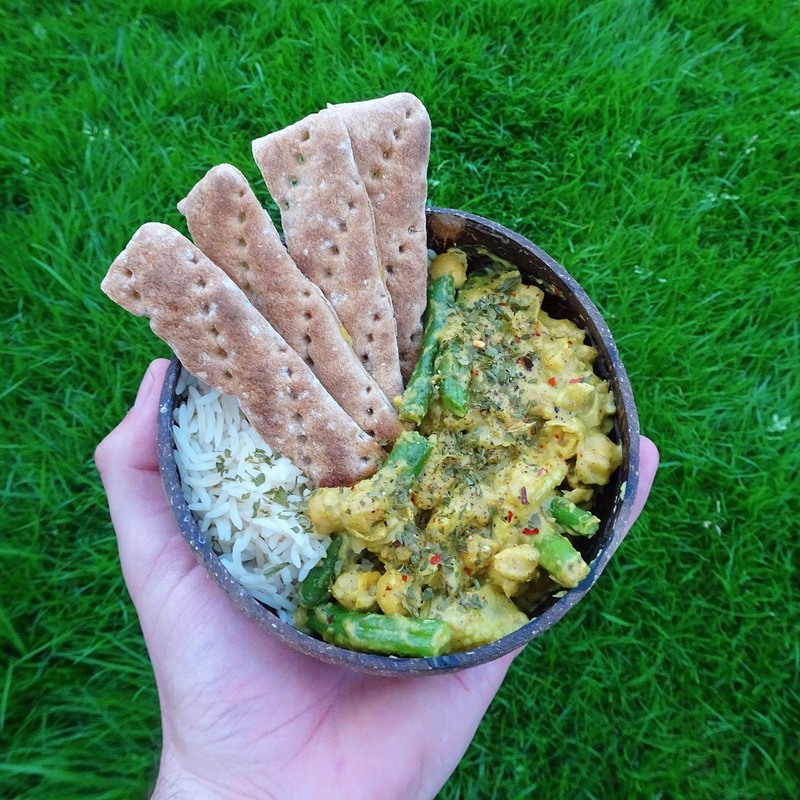 Let me know in the comments what your favourite Pescatarian/Vegetarian/Vegan dish is? Hey, me again! I've noticed a theme with my blog posts this week - I have actually been posting something new every single day and I am really enjoying it and it seems to be getting great feedback so I figured I would continue and treat you with another post. Anastasia Beverly Hills, Subculture Palette - I have been loving this eyeshadow palette so much at the minute and just find it has the perfect colours in for me personally as it reminds me of Fall and that is my favourite time of year! Now I know there was a lot of negative comments about this palette saying how hard it is to blend some of the shadows however, I haven't came across this yet. I will agree that the shadows are very powdery however, I found this happened to me with the Modern Renaissance palette and I still love that so much regardless! 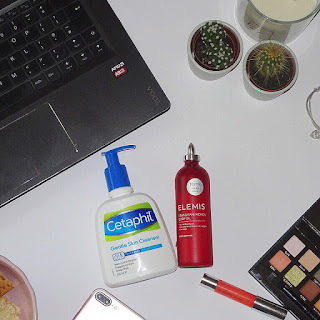 Cetaphil Gentle Skin Cleanser - If you read my post yesterday or if you haven't read it already you can read it here you will of noticed me saying how I use two different cleansers now - one on a morning and one on a night. Elemis Frangipani & Monoi Body Oil - Now this, this is an amazing product right here! It smells incredible, it feels amazing on my skin, it's not sticky and its so easy to apply. What more do you need from a body oil? I'm so glad I finally got round to trying this and I have only been using it after my bath/shower for special occasions or if I am going somewhere nice as it just feels that little bit more of a luxurious product. Gilette Venus Snap Women's Portable Razor - Ok, your probably thinking right now - Emeli why on earth have you included a womens portable razor in this list?! and I know it is a little bit crazy but I actually love this product. I bought it a few months back from Superdrug to take away with me to Portugal as I figured it would be easy to pack away in my case and use it on holiday. I have since been using this as my only Razor as I just find it so handy and hygenic to keep it in it's little case to stop it from getting dirty and disgusting laid in the bottom of the shower because let's face it we've all been there and done that. But anyway, I went to Boots last week and bought another one of these to take away on holiday with me in a couple of weeks, because if you didn't know already I'm going to Florida in 11 days woohoo! 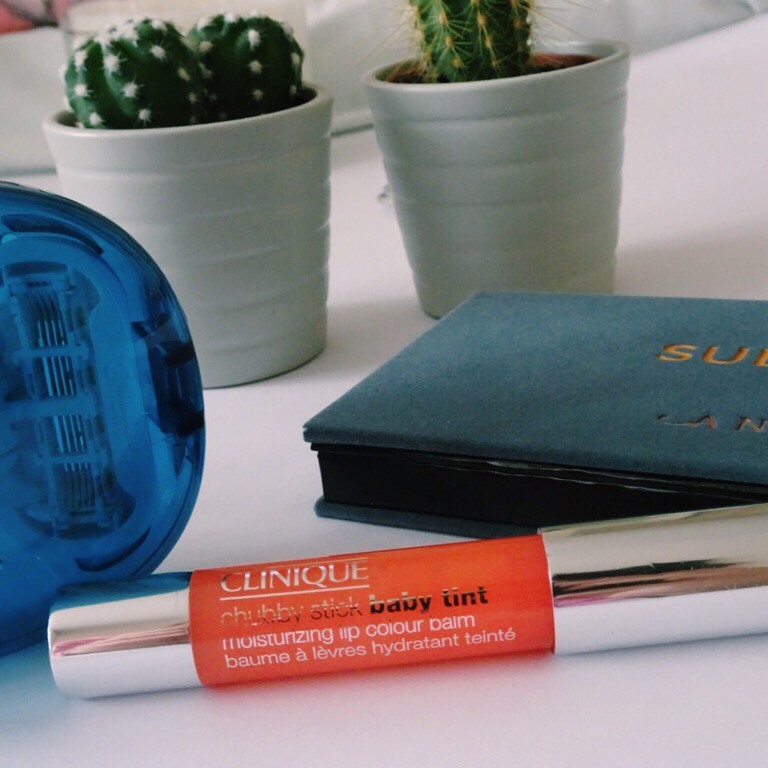 Clinique Moisture Lip Balm Chubby Stick - I seriously can not get enough of this lip product, I am actually going to purchase some more in different shades as I just love it! 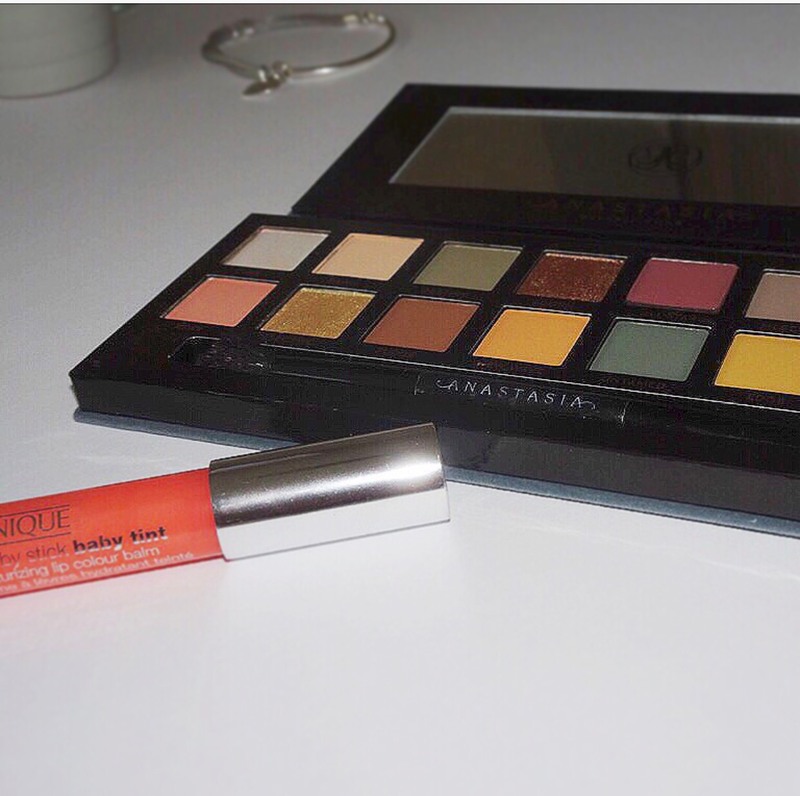 I bought the shade Poppin' Poppy and its just such a beautiful orange/coral colour which is great for the summer months so I definitely will be needing some more shades that I can use in Fall and Winter months too. Let me know in the comments what products your really loving at the moment? 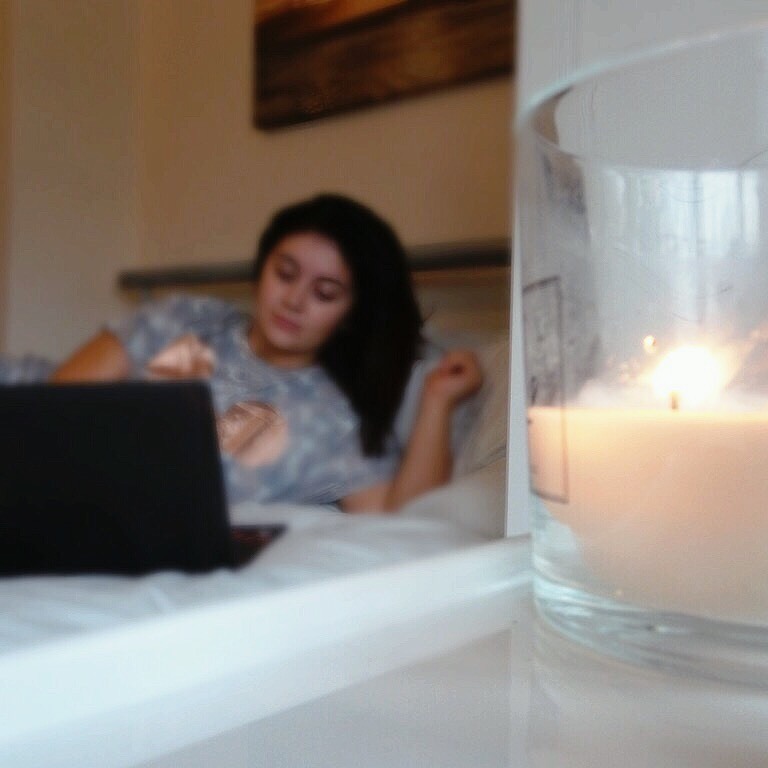 I've been wanting to share a nighttime routine on my blog for a while now and just never got round to doing it but it's probably one of my favourite times of day and one of my favourite things to see other people doing as I am too nosey and just love to see what everyone's routine is like. Diamonds are a girls best friend - I wear jewellery almost every single day, I can guarantee I will always have on a small pair of studs, one bracelet and a necklace on. So I always start my night by removing them first. got buns hun - my next step is simple but effective. I give my tresses a good brush and apply any products to it, I'll usually use a leave in conditioner spray and then pop my hair in a bun so its out of the way! 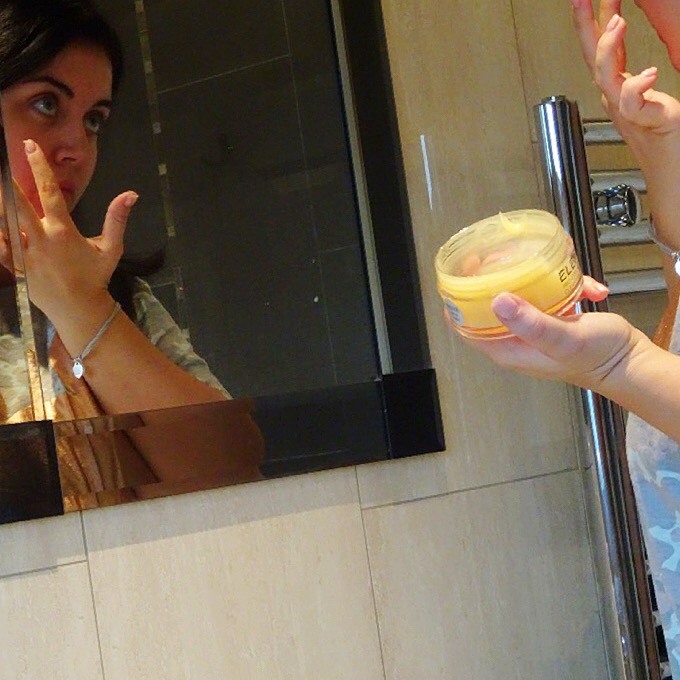 cleanse, cleanse, cleanse - after my hair is back and off my face I will cleanse my face. Now at the moment I have two fav cleansers but I use one on a morning and a different one on the night. 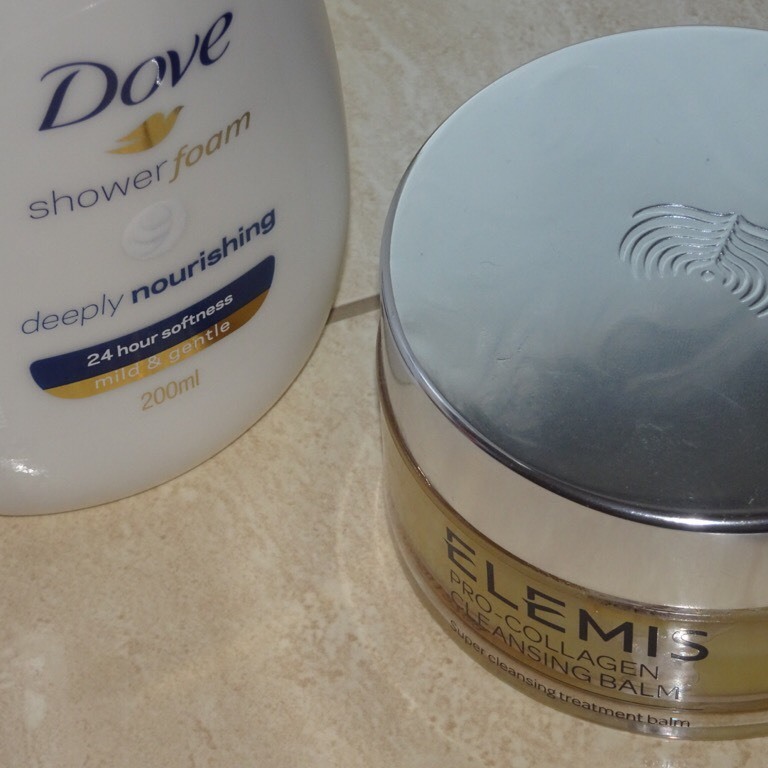 My nighttime cleanser is Elemis Pro Collagen Cleansing balm and it's sooooo amazing! I always use this on a night because it just melts off my makeup so easily and makes my skin feel so clean after. 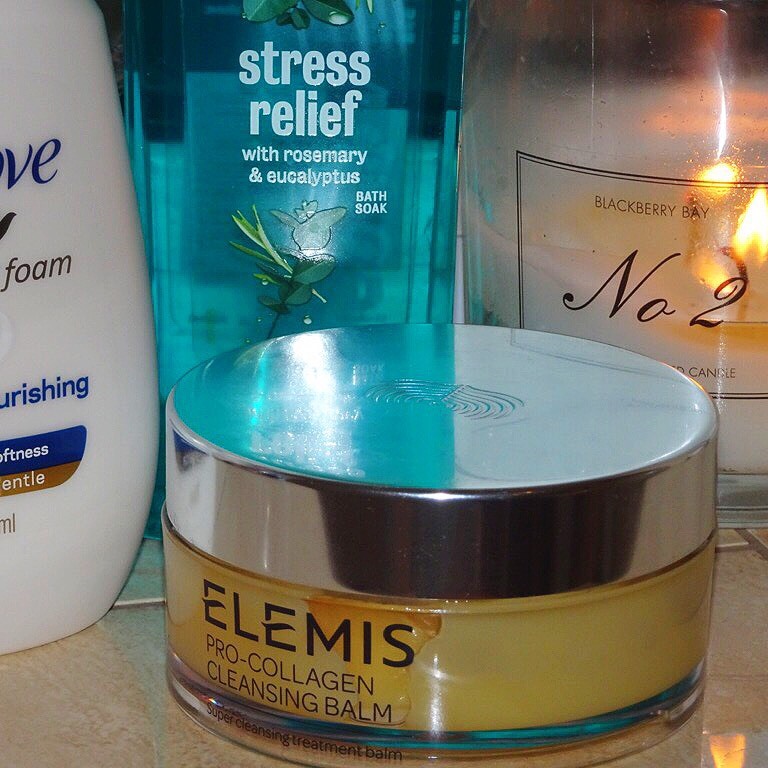 splish splash I was taking a bath - the next thing I do is run a hot bubble bath with my favourite lotions and potions, just to have a good old pamper before I settle down for the night. Some of my top things I use in my baths are Jo Malone Amber & Lavender Bath Oil, Lush Bubble Bars & Bath Bombs and Radox Bath Muscle Soak. Some of my fav masks are Lush Mask of Magnaminty and Tony Moly Sheet Masks. 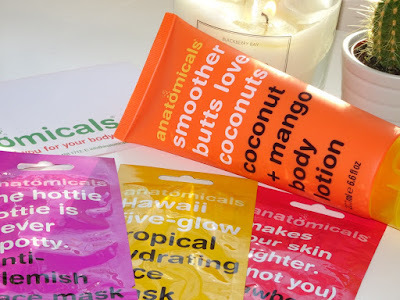 I've left a direct link below to a great deal on the Tony Moly sheet masks as you get a huge variety to try! pearly whites - my last bathroom step is brush those teeth! After I've done this I know all of the work I need to do in the bathroom is done and I can go and settle down for the night! I hope you loved peaking into my nighttime routine, let me know in the comments some of the products you love using at night?? Yes that's right this blog post is all about Monday blues and come on let's face it we all have it right now. Whether your sitting at work or sat at home in bed catching up on the new Game of Thrones episode we all know we are just a little depressed that the weekend is over. I will hold my hands up and say yes I am very sad that my amazing weekend is over with and now its back to work. This weekend I was at a family wedding in Liverpool which was truly stunning so I will pop a few pictures below just so I can be reminded how amazing the weekend was. Anyways, I thought that I would make a little list of what you can do to make your Monday just that little bit better and not be so depressed after all. We have to start the week on a positive note so that the rest of the week will continue to be great! The best bath of your life - My ideal Monday morning would definitely include a hot bubble bath with all of the skincare involved so that you feel extremely pampered, fresh and ready to conquer the week ahead! I don't sweat I sparkle - Include a workout in your day! I definitely think a good workout can improve your mood and make you feel so much better about yourself and about your day. I've set a goal for myself to do Yoga every morning and go for a run every night which will help both with my physical and mental health! take an hour - Take some time out of your day to do something you enjoy, this could be anything from reading a book, catching up on a TV programme, watch a film or inviting a friend round for lunch. I will definitely be sitting down tonight after a long day with a cup of tea and tuning into this weeks episode of Game of Thrones which I cannot wait for! blow the cobwebs away - Get your trainers on and go for a long walk to get the fresh air into your lungs and clear any negativity. Invite a friend along or take your favourite four legged friend and get the blood pumping around your body and feel invigorated by the time you land back on your front door step. good things will come to those who wait - What I mean by this is have something set in your mind of something you are doing or something you may have planned that you can look forward to. For me its knowing that my Florida holiday is only two weeks away so that is keeping me going and motivated until then! I hope this helps to rid any of those blues as it definitely works for me and I think it's very true that positivity is key! I also hope you loved reading this too, leave me a comment of what you like to do that helps you feel better on a day like today! 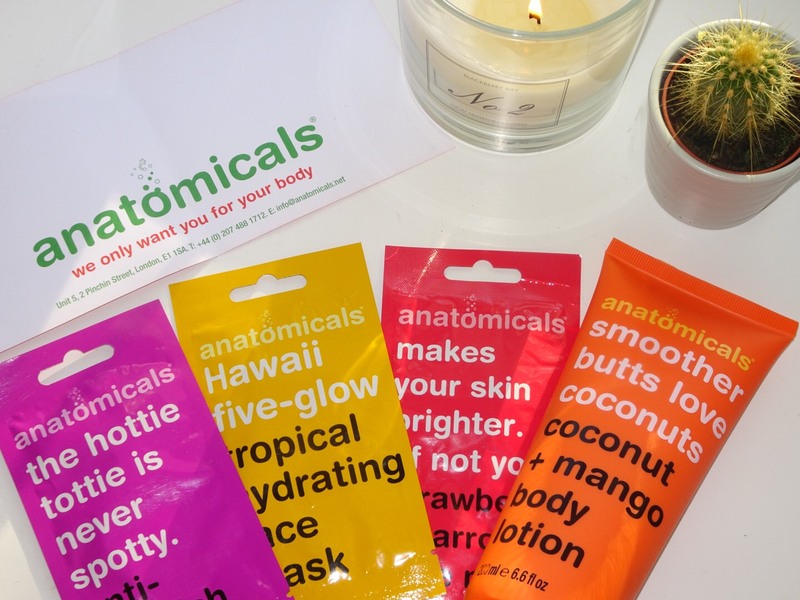 A few weeks ago I was lucky enough to receive some amazing products from the guys at Anatomicals UK. I was so excited to try out the face masks and body lotion they had sent me. So over the last week I've managed to try everything and I thought I would let you know how I got on. So if you don't know much about Anatomicals then here are some quick things that you should know about them. They are known for their witty and funny names for their products and all of their products are free from animal testing which is an added bonus. 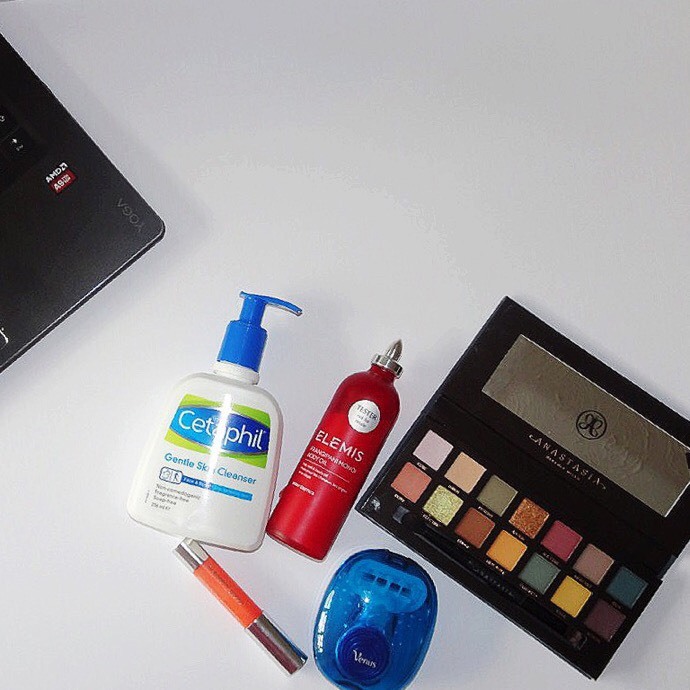 Their products are sold within Superdrug, ASOS, Harvey Nichols and others so they are definitely very easy to get your hands on. They are also very reasonably priced products so you definitely can grab a few things to try without breaking the bank. So the first thing I tried was The hotty tottie is never spotty anti blemish face mask I instantly grabbed for this mask when deciding which one to try out first just because my skin was so crappy and spotty at the time. I really loved using this mask, I washed my face and applied the mask and left it on my skin for 10-15 minutes. The scent of this mask is AMAZING and I could definitely see a difference in my skin and it really reduced the size of any blemishes I had. The next mask I tried out was the Hawaii five-glow tropical hydrating mask again the name, how funny! I definitely loved using this product and think it would be great to use for the summer to really add moisture into the skin. The scent was also beautiful and I think I preferred this mask to the first one as my skin really did feel a lot more hydrated after use as it claimed to. The last face mask they sent me was the Makes your skin brighter (if not you) strawberry + yarrow face mask this was my last mask to try as I'm always unsure of what to expect with a mask that claims to brighten my skin. I did the same as what I did when using the others, washed my face and applied with my fingertips and left it for 10-15 minutes. I definitely felt like my skin looked better after this mask but I'm still unsure how it brightened my skin but it did feel lovely after! The other two masks where definitely my favourite of the bunch but I am really looking forward to trying some more out as I had great results from the face masks. The last product I tried from Anatomicals was the Smoother butts love coconuts coconut + mango body lotion this is definitely my favourite product I have tried from the bunch. The smell of this product is just dreamy, it dries and doesn't feel sticky after use which is definitely great as I struggle to find a body lotion that doesn't feel sticky after applying it. I am obsessed with using body lotions and moisturisers as I do tend to have quite dry areas on my arms and legs so it definitely feels so much better after using this product consistently over the last few weeks. I have been applying it after I have showered/bathed every night before I get into bed and I can honestly say I just love it. Hats off to Anatomicals for creating a great body lotion that will definitely be staying in my routine! So just a huge thank you to the guys at Anatomicals again for being amazing and sending these out to me to try. 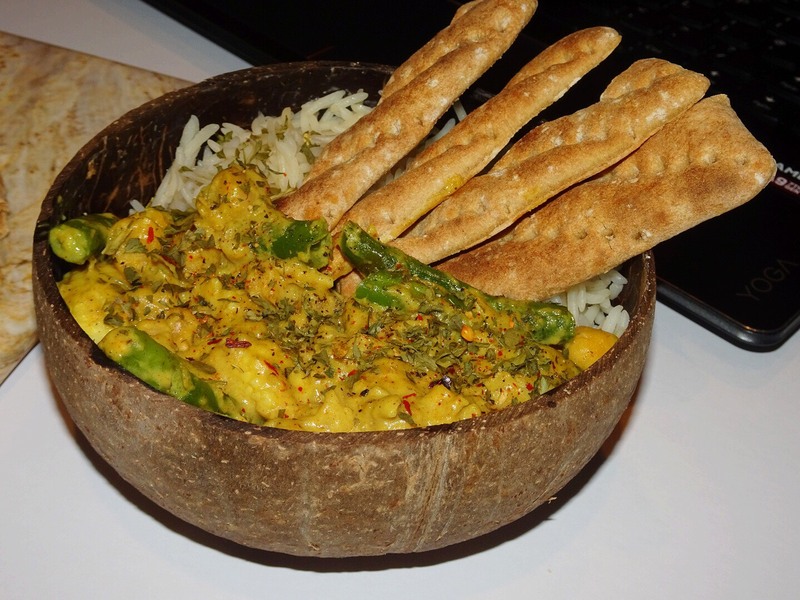 I hope you loved reading this little review! Head over to my Instagram to check out my latest post about Anatomicals and also follow them on Instagram! I recently visited Dalton Park outlet shopping where I managed to pick up a few new things from The Body Shop. I thought I would try out these new prod's and see what I thought about them before uploading this blog. I am very lucky in the fact that I have Dalton Park outlet near where I live and that there is a Body Shop there as the prices are great! They also offer 20%, 30% and 40% off when you buy a certain amount of products which is great as you can end up saving a lot more at the checkout! The first thing I picked up where two hand creams; one Almond and one large Hemp hand cream. I have been using both of these so much over the last week as I keep the smaller one just in my handbag and the larger one at home and use it on a night and a morning and just whenever I fancy really. I absolutely love both but both being completely different. 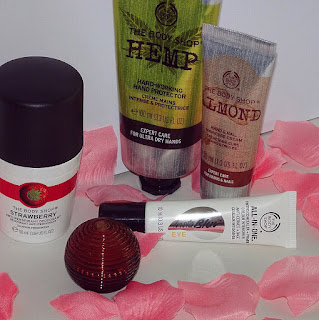 The Hemp has such a distinctive smell which is very nice but I much prefer the scent of the Almond cream and can smell it all day long! Next I picked up some bits from the makeup section in the shop, one being the All-In-One Instablur eye primer which I have really enjoyed adding this into my makeup routine. The other one being the Honey Bronze Shimmer Lip Balm, now if you know me well then you will know that I love any products for my hands and for my lips so I am a sucker when I see anything new as I have to buy it! I keep the Honey Bronze balm in my handbag and I've been using it on its own and on top of other lip colours and balms just as it adds the shimmer. I do really love this product however I find it quite hard to actually get the product out sometimes just because of the shape of the packaging, maybe it's just because I'm use to using my EOS lip balm's so much, other than that I really like it. The last product I picked up which I think is actually my favourite product out of the haul, even though I find it a little bit weird that it's my fav but I just can't help it. It is the Strawberry Antiperspirant Deodorant and yes maybe your thinking why do you love this Deo so much, it's only a roll on deodorant but I just freaking love everything about this product. Firstly, the strawberry scent of it is so amazing and secondly it lasts all day which is definitely what you need in a deodorant. I kind of picked this product as a maybe at first but then I was like you know what I'll just try it and I'm so glad I did as I will definitely be buying this one and maybe some of their other deodorants again! 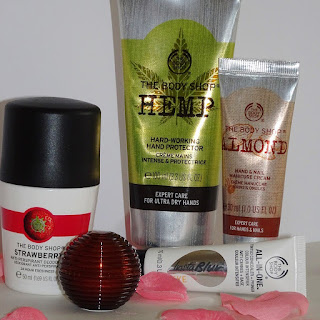 I hope you've enjoyed reading my mini haul from The Body Shop and I have tried to find everything and link it above so that you can have a little browse yourself of the amazing products that they have to offer ❤! HOW TO ADD A LIL BIT OF DISNEY IN YOUR EVERYDAY STYLE! Obviously as you know I am a huge Disney fan and love to incorporate it into my fashion as I just think it's definitely a fun way in fashion and its so cute! So I thought I would make some little wish lists that you can have a look through of how to easily and subtly add Disney into your everyday style. My first wish list is a cute little dress with some trainers and jewellery to keep it quite cool and casual. I've also tried to add a range of high end and more affordable fashion because you know we can all wish which is why I am definitely loving making these wish lists. This is a Beauty and the Beast dress from ASOS which I love as its just a casual dress that you can wear day to day. I thought that this would be so cute with some fashionable pumps and some small earrings which are usually the type of earrings I go for as I hate anything too big! My next outfit is some distressed mom jeans which I am really loving right now as they are so comfortable and just seem easy to pair with anything. I also found this amazing MinkPink Belle top which is also from a Beauty and the Beast range and doesn't scream Disney. I think Beauty and the Beast is seeming very popular at the minute, with the new live-action movie coming out I think a lot of designers decided to jump on it and get involved. I finished this look off with a cute Minnie Mouse Bow necklace, Minnie Mouse watch and a pop of colour with some pink Vans! This look is very wearable and definitely a more comfortable daytime look but you could definitely rock this if you where visiting any of the Disney parks too! My next list is my absolute favvvvv! Obviously I've made it clear before about how much I love to have a cosy day at home so this is why I absolutely love this list. So to keep it in the theme I decided to go with more of a princess vibe. When having a cosy day you definitely need a good ol' mug of hot choc (or whatever you prefer) I have this mug already but I actually use it just on my worktop to store pens and other things in but I will most likely use it as a mug in the future. I added in some PJ's but made sure they where a short set as I live in the UK and even though its summer right now the weather just does what it wants so I picked a short set and added a princess dressing gown just incase your always cold like me! To finish it off I added some £3 princess socks from ASOS which I will definitely be purchasing as they are just so cool! I hope you loved reading and checking out some of my Disney wish lists and showing just how easy it is to add it into your everyday style! Let me know in the comments if you like to add Disney in your everyday style and if so what are some of your favourite places to buy from? Last month I was lucky enough to be given my Professional Makeup Artist discount with Charlotte Tilbury. If you didn't know I have been a Makeup Artist for 3 years and a job like mine comes with benefits like this, so I am definitely very grateful for that. So it was only right to go on a little spending spree when I was given my discount. I had been so tempted to try her Makeup products for so long now and I was so excited as soon as I hit that checkout button. Of course I had to get my hands on this lipstick it is my name after all, unfortunately not spelling it the same as I do but hey ho can't complain too much. When I got this lipstick I was a little unsure on the colour but I honestly love it. It is a bright coral colour and is so creamy and comfortable to wear. I have been wearing this colour to dress up any look and wearing it lightly on my lips to add a bit of colour. I absolutely love this next product it looks so beautiful on the skin, its not too harsh and is a gorgeous colour. I find this product very easy to use by applying it to the apples of my cheeks and blending it with my fingertips. The colour is perfect for me as I don't like a strong blush on myself and it adds a natural glow. Now I am a HUGE fan of highlighters and this is definitely a product you will be needing. I prefer a more gold toned highlight rather than a pink tone so this is perfect for me. It is a very pigmented highlight which is great for me and I find that I can build this product to go from a subtle highlight to a strong highlight. My highlight is always poppin' with this product! I think this is honestly my favourite product out of the ones that I bought! So beautiful and so easy!! I apply this straight to my eye by using the crayon to colour over my lid then I grab a fluffy blending brush and blend it through my crease and it just blends great. I go back in at the end to go over right along my lash line so it pops a bit more and add it to my waterline and smoke it out underneath. I'll definitely be buying some more colours in this product. AMAZING! I was so amazed that I was able to choose so many samples with my order baring in mind the Mascara and Eyeliner are a great size and will get more than one use out of! The mascara was the only product I wasn't a huge fan of as it was just a tad bit clumpy for me as I prefer my lashes to look defined and lengthy. Other than that I was really impressed with the other samples I picked and would definitely look into buying them. There is definitely so many products that I would love to try from there aswell so I am going to link a little wishlist below too! Hope you've loved reading this! So here's something quite new for me but I thought why not seen as though I have been loving my cosy days off lately! 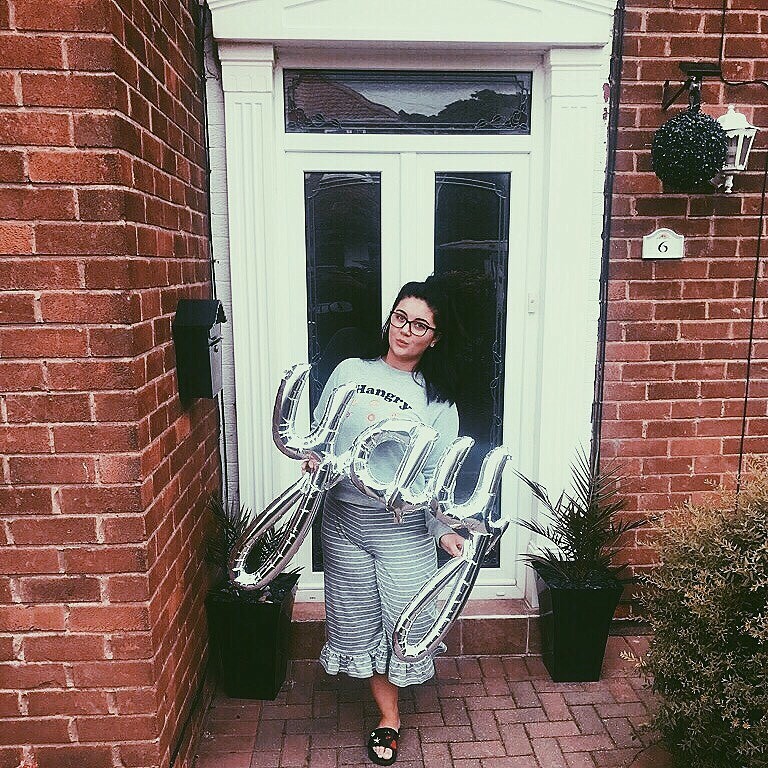 I thought why not create a post all about my cosy days! I will include all things that I love using and would love to include while having my perfect snuggled up day and hopefully you will love them too. So of course to start off my list of lazy day favourites, I am going to set this off with what I'm loving on Netflix right now because who wouldn't want to binge watch Netflix all day! Honestly the best TV series I have ever watched in life, I can embarrassingly tell you that I have watched all Seasons of TVD and now as it has come to a sad end I have decided to re-watch all of the series through Netflix! This is actually my favourite thing to watch on my lazy days, I don't know why but I'm just obsessed and it just gives me all of the feels! Another great TV series however, the long wait of a new series is annoying to me and I kind of lose interest as it takes that long to bring a new series out then upload every episode so I sit and binge watch them all! BUT still such a great series and I've definitely had many cosy days watching multiple episodes. You're probably thinking what the hell is Disney Life and I will tell you. Disney Life is an app just like Netflix but every single Disney movie you can imagine along with many TV shows. Its honestly my favourite thing, I downloaded it onto my Amazon Fire Stick and the app is actually free but you pay £4.99 a month to be able to watch anything! So good and absolutely great for a lazy day! I've created a little list below of what I class as some essentials for my cosy days which you can flick through below. Not crazy in price and just exactly what you need to ensure your day is extra snug! I've obviously included some comfy socks and slippers, I chose those particular ones above as I personally don't like my feet being hot so I feel like either pair of socks or slippers would be perfect for me! Of course you need some kind of blanked or throw to keep you warm and snug, I've picked the mermaid one as I think they're just so cool and cute. Cool story - my sister actually bought my mom one of these for her birthday, I don't think she quite got the jist of it and think it went back in my sister's hands, so I'll definitely be borrowing that. Of course you can stick with an ordinary throw/blanket however I just thought it would be cute to add both! 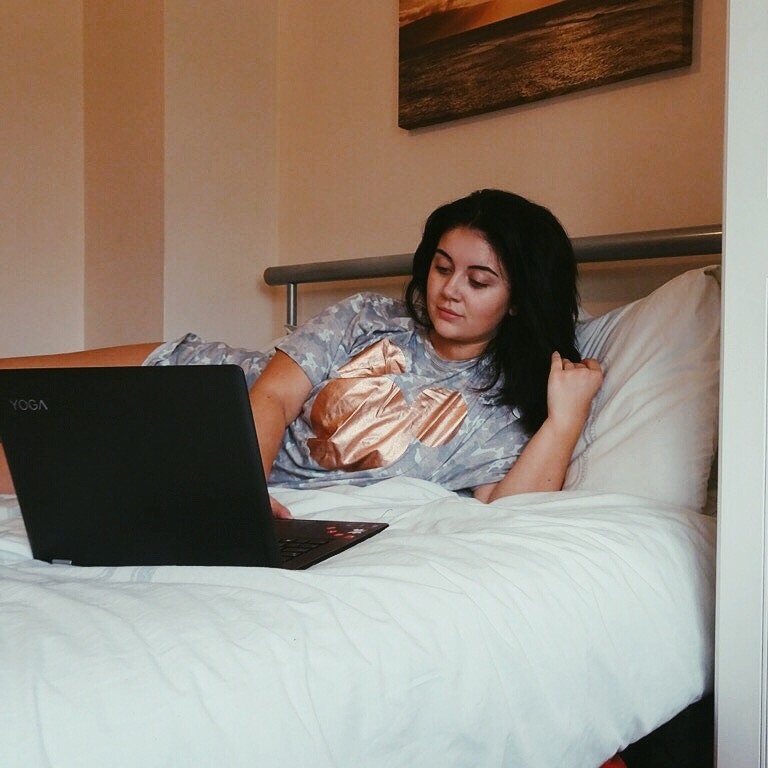 I hope you enjoyed reading this blog post as much as I love lazy days (I'm sure you can already understand that) I'm going to list some extra items that you might be interested for you lazy days too!